Hotel Hm Crystal is a fine place to stay for all types of guests. 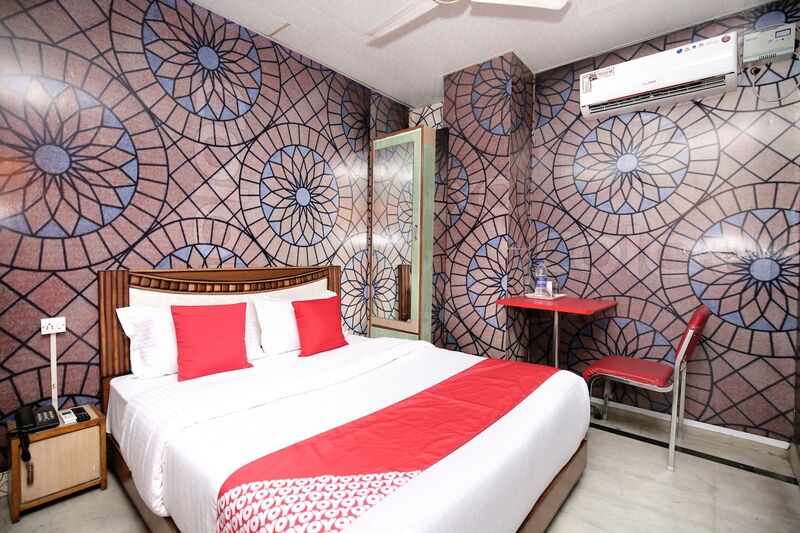 The rooms are equipped with comfortable furniture and basic amenities for a pleasant and relaxing stay. The patterns on the walls add a glow to the overall decor of the room. The seating area here is decorated with artistic paintings on the walls and leather sofas where guests can relax. Guests need not to worry about their pending work as the hotel also offers free Wi-Fi service to stay connected. Power backup and CCTV cameras ensure the security of the guests. Parking facility is also available for guests convenience.